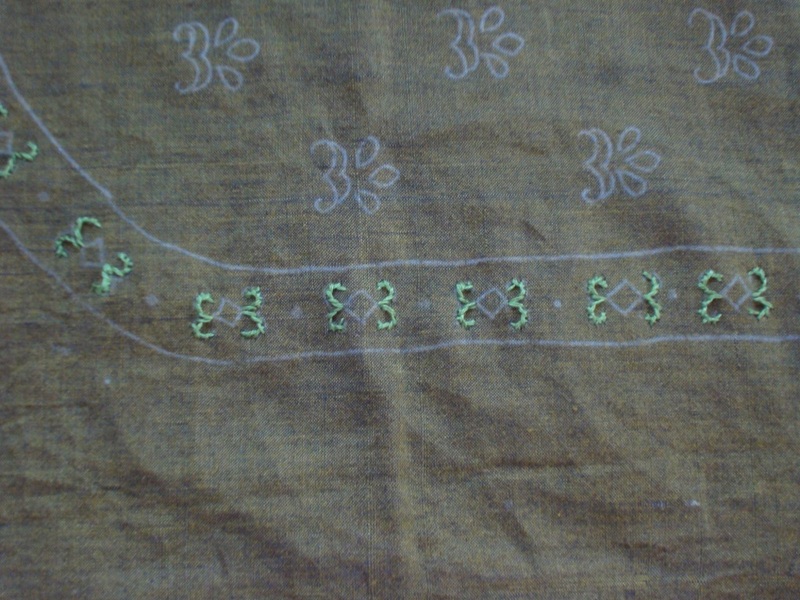 The curves on the motifs are worked with back stitches in light green thread. 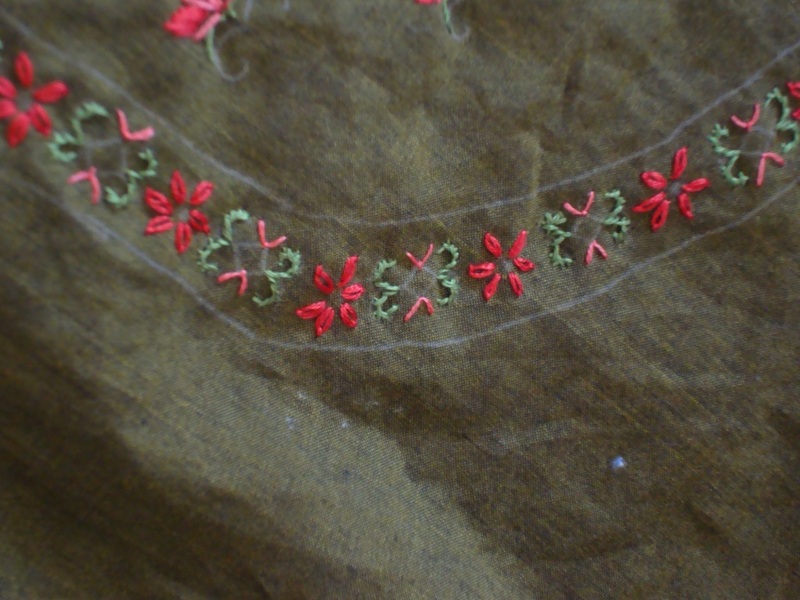 The small diamonds are worked in double running stitch. 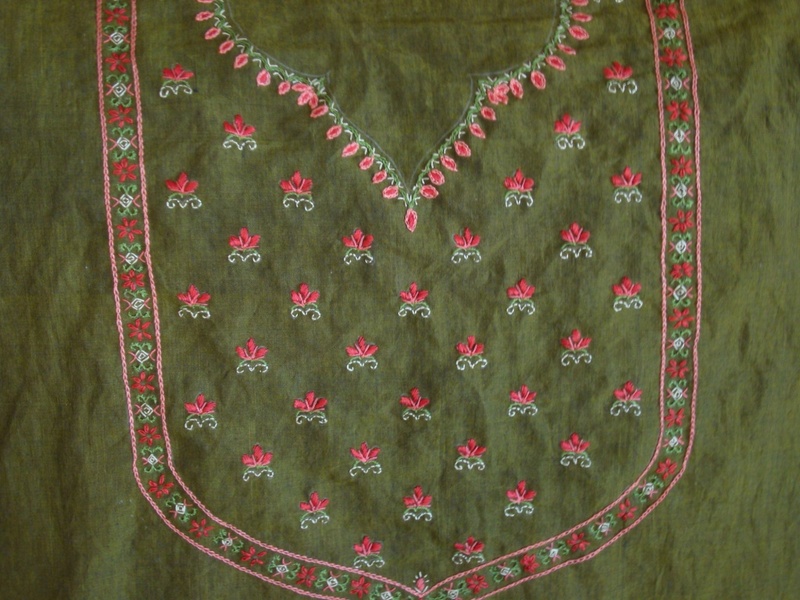 The embroidery is completed on this green yoke. 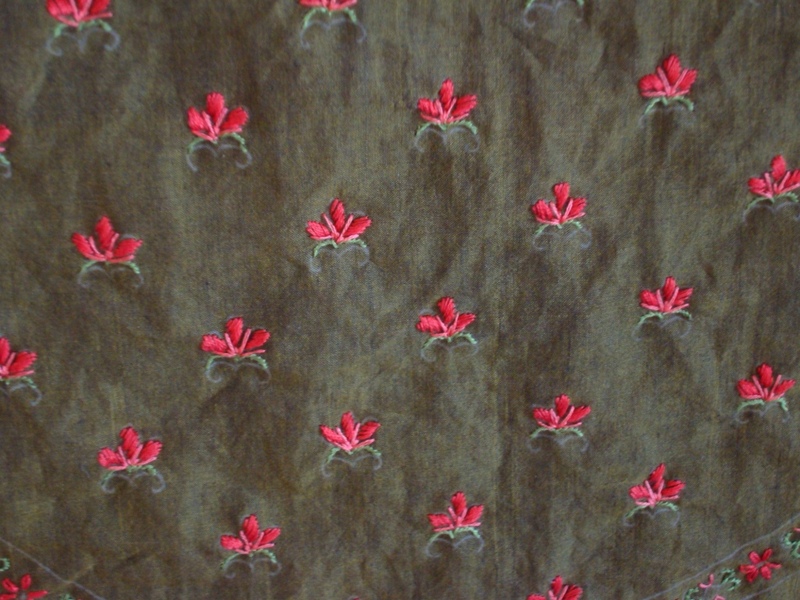 This type of patterns, where the small motifs are repeated, and more than two colours are used and we cannot work continuously, it is better to keep the stitches simple and the pattern small. When we see the outcome ,it is well worth the effort. The details of the green yoke continued. 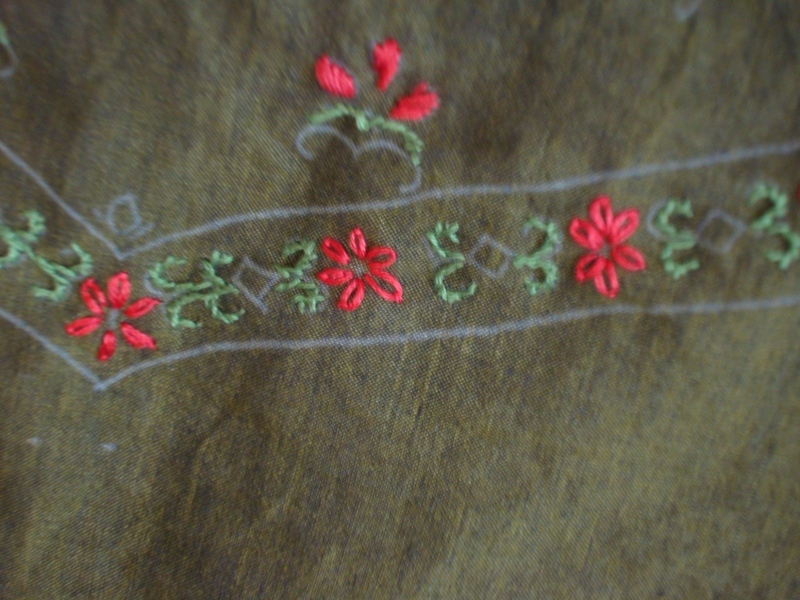 Straight stitches are worked in peach thread beside the satin stitches. 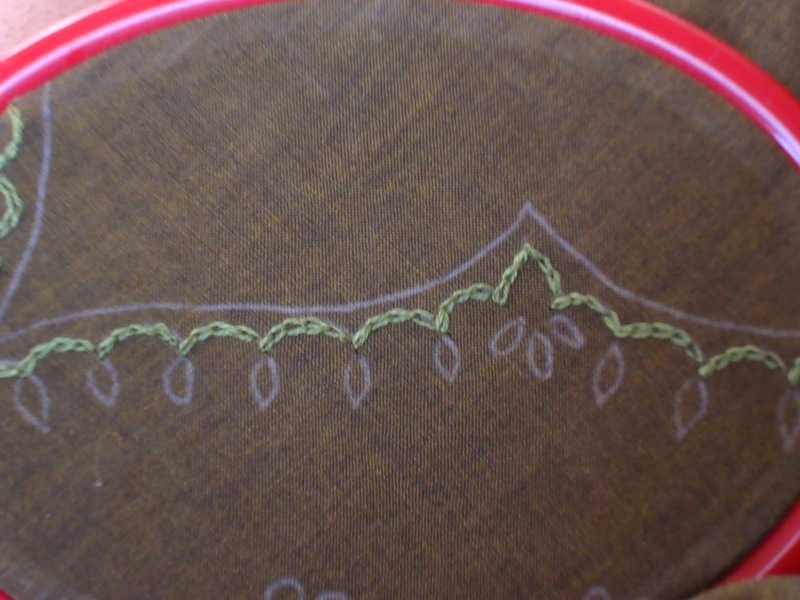 Two rows of chain stitches are worked on the border outline. 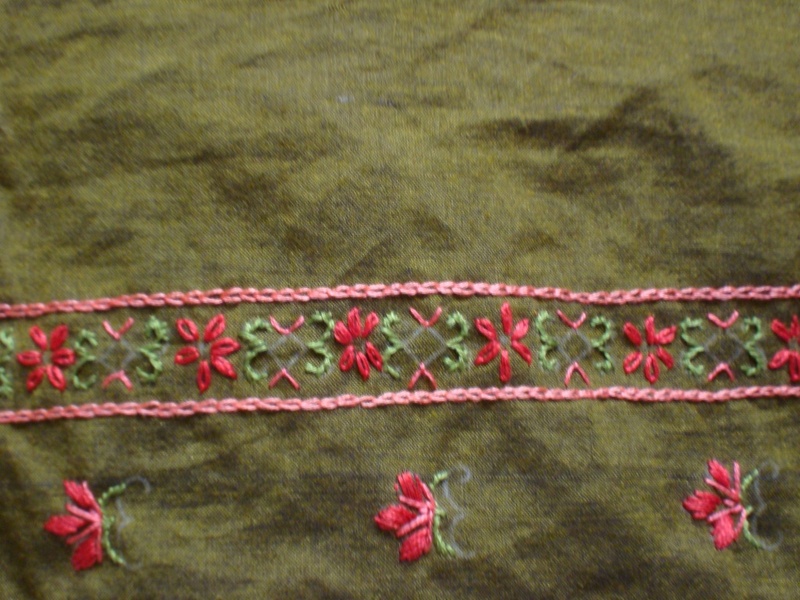 More embroidery details of this green yoke. 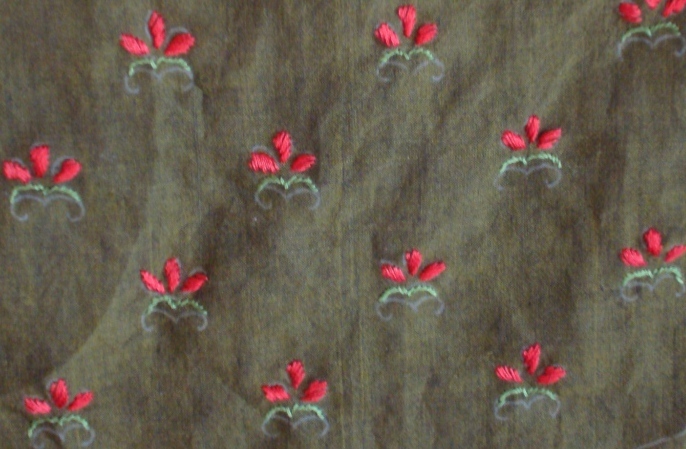 The motifs are worked in satin stitches. I had this idea of doing a embroidery pattern with small motifs. The same motif is repeated throughout. It looks like a block print. A peach colour tunic material was available for this. 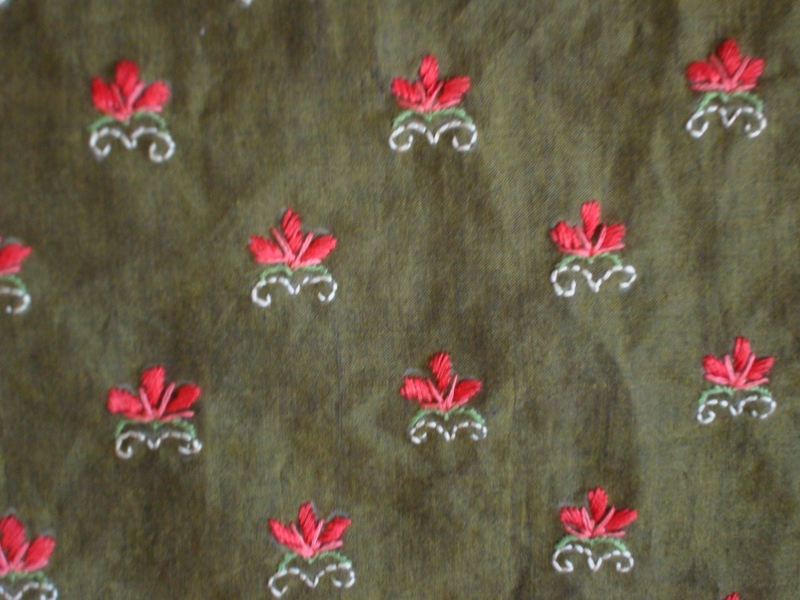 A dark green colour fabric was chosen for the yoke. The thread colours chosen were- medium and light green, red, and peach. 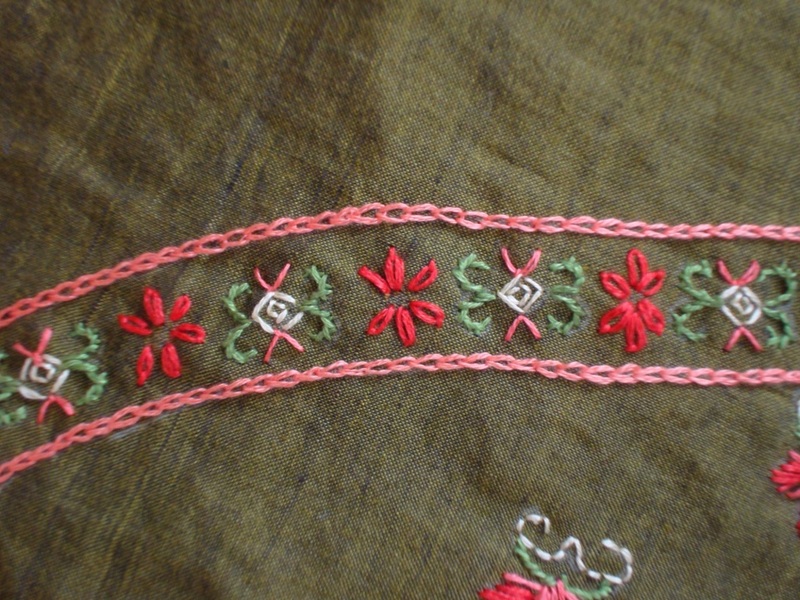 Two strands of cotton skeins was used for the embroidery. 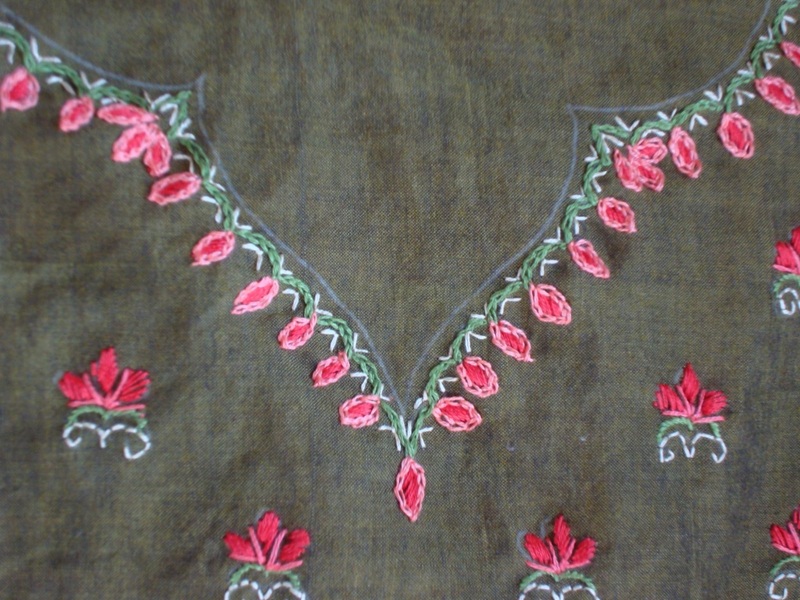 The stitches used were- chain stitch, satin stitch, straight stitches, back stitch, stem stitch and fly stitch. Will continue with the details of the tunic.